The Pure-Tec Reverse Osmosis System is your Customized Drinking Water purification system. Water conditions can vary even in the same community. The Pure-Tec Reverse Osmosis System can be configured to meet your specific requirements. There are ten interchangeable filters with a variety of treatment options that can be tailored to local water conditions, so your water is the best it can be! 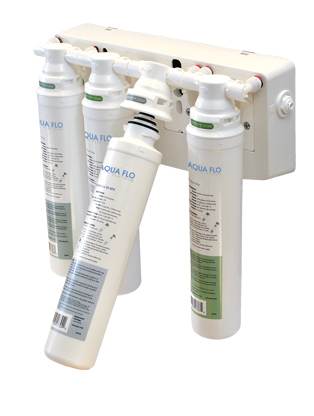 If you’re concerned about RO to reject water or RO drain line makes installation difficult, we offer UltraFiltration (UF). * The UF does not have a drain line to run, your cost is lesser than RO and there is no waste. The innovative QC twist and lock design makes service simple. Twist off the old cartridge and twist on the new. No messy sump removal. Pure-Tec systems make drinking water better and life easier.